Home»Movies » ‘Thor: Ragnarok’ Panel and Preview from SDCC Does Not Disappoint! 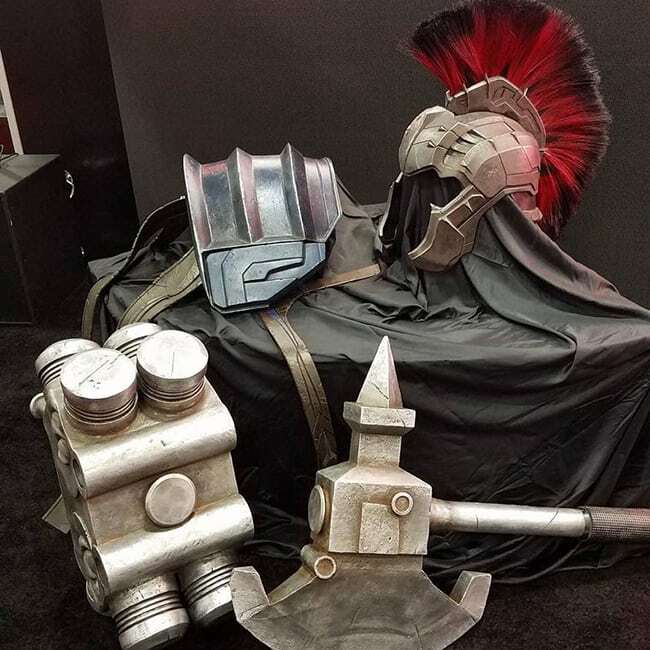 ‘Thor: Ragnarok’ Panel and Preview from SDCC Does Not Disappoint! One of the many goodies to come out of San Diego Comic-Con this year was the footage and mock-umentary from Thor: Ragnarok, which was only five days into shooting as of their panel date. Producer Kevin Feige had quite the panel prepared, starting with the aforementioned mock-umentary, done in director Taika Waititi’s own irreverently comedic style. It wasn’t all just joking around, though. The panel also featured some shots from the real movie: mostly a mix of storyboard panels and pre-viz. Some images that stood out, though, are short-hair Thor, the Hulk fighting in a gladiatorial arena (reminiscent of Planet Hulk), and Hulk charging at Hela. Thor: Ragnarok is set to release in theaters on November 3, 2017, and from what Marvel and director Waititi had to show the crowds at SDCC, the film franchise is currently in good hands.